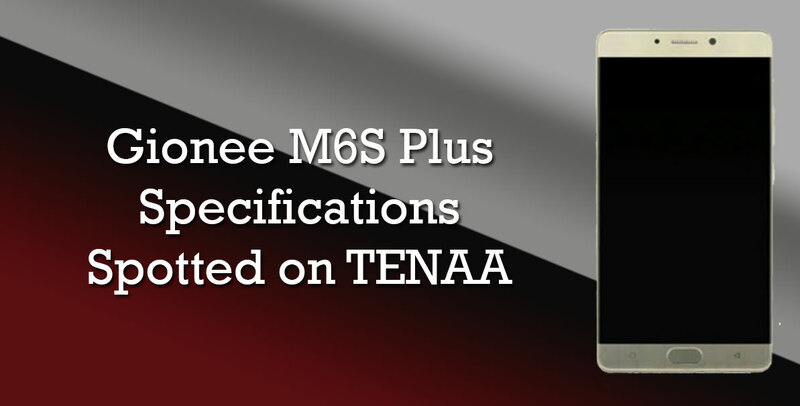 Recently, Gionee M6S Plus has been spotted on TENAA which has revealed its key specifications. The main key attraction features of the handset are its huge display and massive RAM for smooth multitasking. Gionee M6S Plus is the successor to the Gionee M6 Plus which was launched last year. However, the company has not revealed yet its specs and features but as per leaks, the phone will run on Android 6.0.1 Marshmallow with Amigo OS Amigo OS on the top. According to TENAA, the device has a 6.0-inch full HD AMOLED 2.5D curved glass display that carries a resolution of 1920 × 1080 pixels. The phone will be powered by an octa-core processor clocked at 2.0GHz CPU, so far there is no information about GPU. The handset comes with a metallic body which has a resolution of 163 × 80.8 × 8.2mm and weighs around 212grams. It also offers a fingerprint sensor embedded into the home button. As for the camera, it provides a 12-megapixel of rear camera with dual-tone LED flash and phase detection autofocus. On the front side, there is an 8-megapixel of front-facing camera for selfies and video calling. Users get a 6GB of RAM and 64GB of internal storage that can be expanded via microSD card (up to 128GB). Connectivity option include 4G LTE with VoLTE, Wi-Fi 802.11 ac/a/b/g/n, Bluetooth 4.0, GPS and 3.5mm audio jack. One of the most useful features is its a 6020 mAh non-removable battery which can power up the handset for a couple of days. The phone will be available in White and gold color variants expected to launch in China Soon.